Steve Irwin showing no fear while being greeted by a happy croc. 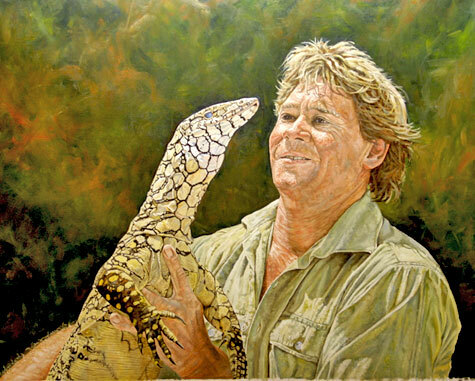 This Steve Irwin Tribute Painting was painted by Jason Swain. He is a pure aussie and loves ALL animals!!!!!!!!!!!!!!!!!!!!!!!!!!!!!!!!!!!!!!!!!!!!!!!!!!!!!!!!!!!!!!!!!!!!!!!!!!! i think it is awsome there is no way i could paint anything better than that person.